Educación - M.S Ortho, UNIV of Mysore, JSS Medical College. - M.B.B.S, UNIV of Mysore, JSS Medical College. - Pre-UNIV, Marimallappa’s Jr College, Mysore. Experiencia profesional - Consultant at Nova Medical Centers, Sadashivnagar, Bangalore. - Consultant at Fortis Hospital, Sheshadripuram, Bangalore. 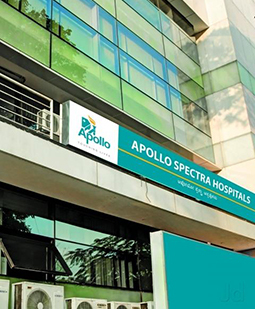 - Consultant at Coloumbia Asia Referral Hospital, Yeshwanthpur, Bangalore. - Consultant at P.D.Hinduja-Sindhi Hospital Bangalore. - Visiting Consultant Mallya Hospital Bangalore. - Senior Lecturer in Orthopaedics, Sri Devraj Urs Medical College, Kolar. - Senior Resident in Orthopaedics, Babu Jagajiwan Ram Hospital,New Delhi. - Clinical Fellow, Balaji institute of surgery Rehabilitation and Research for Disabled. ( BIRRD ), Tirupathi. - Training to Post Graduates from KMC Mangalore & Manipal. Free Polio surgical camps are organized all over India. Institute has made extensive research on rehabilitation surgeries under guidance of Dr.Vagneshwaralu. - Registrar in orthopaedics, Manipal Hospital Bangalore.Trained in trauma surgery. Arthoroscopy. - Post Graduate & Resident JSS Hospital Mysore. - Resident in Orthopedics, Neuro surgery & Plastic surgery in B.M hospital Mysore. - Internship in JSS Hospital, Mysore. Certificaciones - Depuy-Johnson and Johnson spine surgery fellowship at South Korea. - Clinical Fellowship in Paediatric Orthopedic Surgery. - Fellowship in joint replacement surgery, Germany.